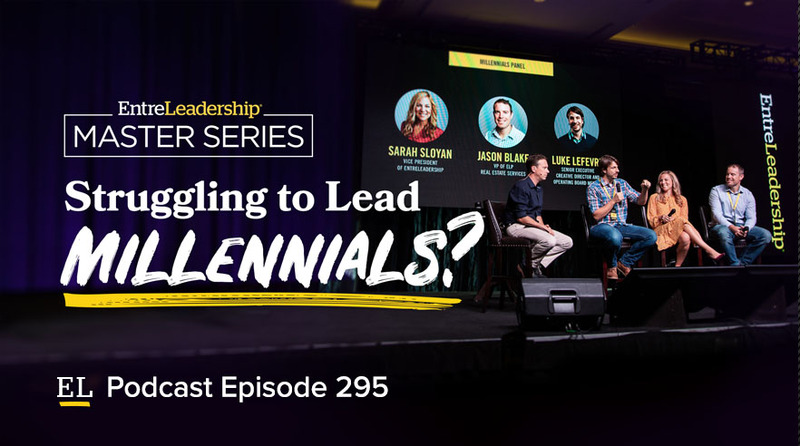 #295: Struggling to Lead Millennials? Millennials are now the largest demographic in the workforce, meaning one thing: They are here to stay. And the future of your business may very well depend on them, which is exactly why millennials were such a hot topic at EntreLeadership Master Series this fall in Nashville. Tune in to hear Ramsey Solutions leaders Sarah Sloyan, Jason Blake and Luke LeFevre answer attendees’ questions about how to successfully lead and motivate this new generation of workers, as well as how to navigate common challenges (entitlement issues, anyone?). If you lead millennials, this is a can’t-miss episode for sure.